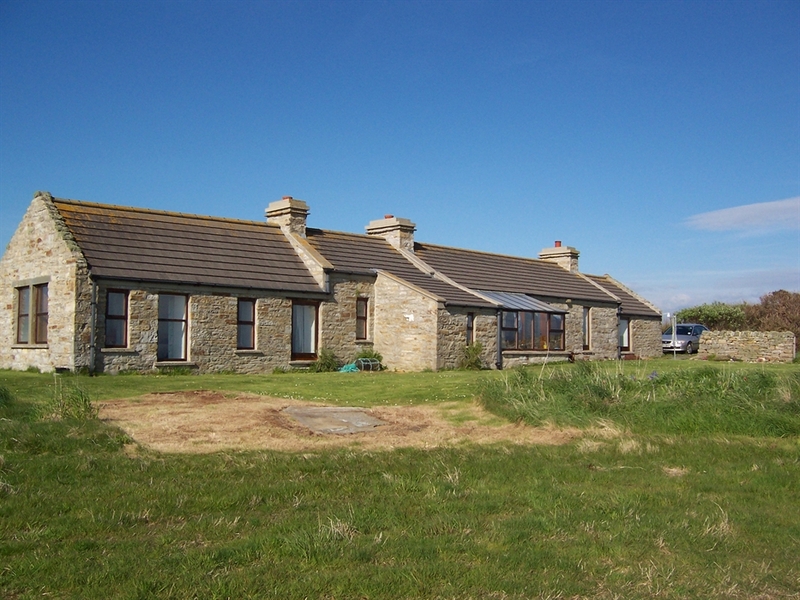 Findlays Cottage is a comfortably furnished stone built cottage on the north shore of Scapa Flow, with fine unspoilt views south over the flow and west to the hills of Hoy. It has two double bedrooms and can accomodate upto six people. 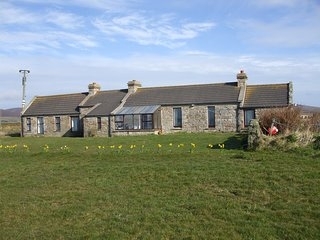 The cottage was converted in 1998 from traditional croft buildings to provide a unique environment for family holidays in one of the Orkney mainland’s most popular parishes. The cottage is equidistant from Kirkwall and Stromness and is a mile from the south isles ferry terminal of Houton. 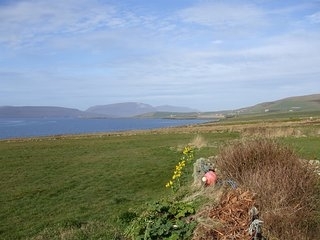 With excellent walking country in the Orphir hills, and a short drive to Maeshowe, the Ring of Brodgar and the Standing Stones, the cottage provides a perfect base for exploring the mainland of Orkney and the south isles. The cottage is capable of sleeping up to six people in two spacious double bedrooms and using the double pull-out sofa bed in the living room. All bed linen and towels are provided. In the interests of green tourism, as promoted by Visit Scotland's Green Tourism Business Scheme, the cottage boasts a number of measures designed to minimise fossil fuel consumption and to improve environmental impact. The most prominent is a small (6 kW) pole mounted wind generator on land well to the back of the cottage which feeds electricity by underground cable to heat and light the cottage. This supplements the mains supply and allows surplus electricity to be fed back into the grid. With the same interest of reducing fossil fuels, the cottage is now heated by radiators fed by a ground source heat pump installed in early 2015 To further reduce the carbon footprint, the insulation in the loft spaces is considerably enhanced and a solid fuel stove is provided in the sitting room. All light fittings are fitted with low energy light bulbs. Facilities are provided for collection and recycling of waste. These measures complement the superb natural surroundings of the cottage which provide a habitat for many species of birds, including oyster catchers, curlews, lapwings and the rather rare short eared owl, as well as an abundance of hares. Sea otters have been observed off the cliffs below the cottage.